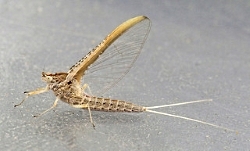 It’s commonly believed that mayflies live for only one day. If you visit a cold, clear river in the spring or early summer, you might see what is known as a “mayfly hatch,” when millions of delicate, glassy insects suddenly appear on the surface of the water, take to the air, and then fall into the river later that day and apparently drown. The truth is mayflies live for much longer than one day, but like many other aquatic insects, their life cycle consists of a long period during which almost nothing happens, followed by a sudden and dramatic burst of activity. 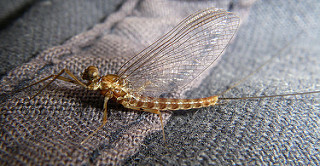 The mayfly begins life as an egg so tiny it’s nearly invisible to the naked eye. The egg sinks to the bottom of the river, and a couple weeks later a mayfly nymph hatches. Speckled and primitive-looking, the nymph simultaneously resembles a crab, shrimp, and troglodyte. For one entire year (and in the case of some species, two years), they grub around the streambed eating algae and hiding from trout. 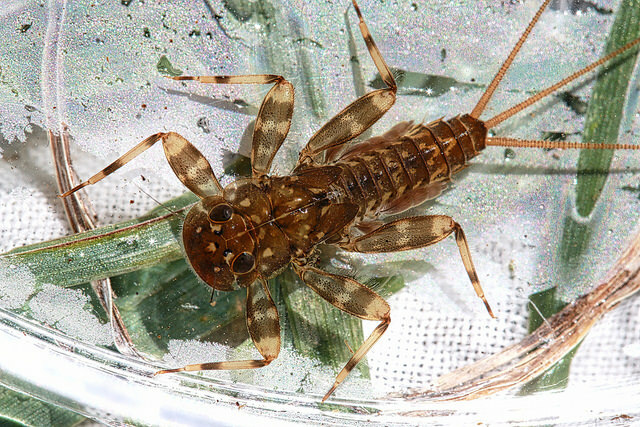 Lift a rock from a mountain stream and turn it over–if the stream is unimpaired by pollution or water quality problems, you’ll likely see a mayfly nymph doing what it does best: waiting in the mud for its birthday. In the spring, when its big day arrives, the nymph leaves the blackness of the streambed and heads for air and sunlight. But the nymph is so small and weak, the water’s surface is like a rubbery membrane that it must pierce and wriggle through. Then the nymph sheds its skin and emerges as a dull-colored and clumsy flying insect called a “sub-imago,” or what fly anglers call a “dun.” Practically weightless, they stand on the water, drifting downstream likes fleets of tiny sailboats as they wait for the UV light of the sun to harden their wings so they can fly away. It’s difficult to overstate how fragile and helpless a mayfly dun is. As the mayflies float up through the current, fight their way out of the water, and then surf along the waves, fish gorge themselves on them. 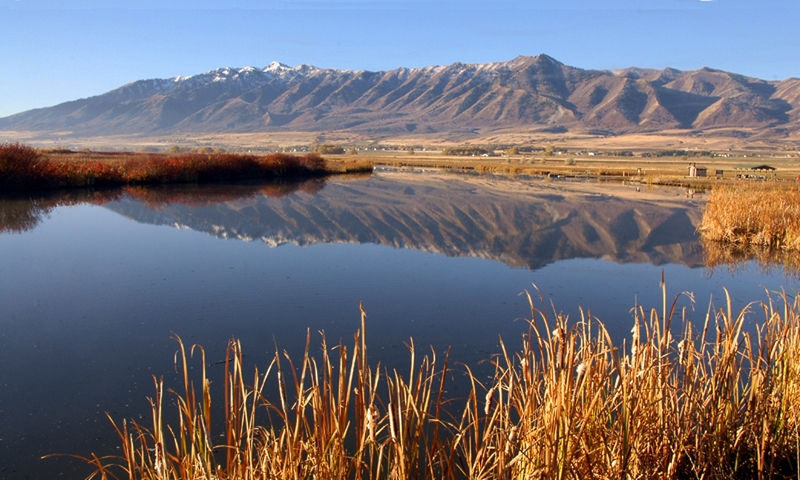 When the mayflies get airborne, there are swallows and other birds to worry about. Even strong breezes and rough water can be catastrophic to duns. Luck is the only thing they can rely on. But if the mayfly can escape the river and hole up in the bankside vegetation for just a couple hours, its skin will split open again, and a bolder, stronger creature will emerge. Now called the “imago” (fly anglers call them “spinners”), this stage can fly faster and more skillfully than before, and they use this agility to accomplish their final acts–find a partner, mate in mid-air over the stream, and deposit the seeds of a new generation in the water. Then, exhausted, the spinners die and fall back into the river, where the fish feed on them once again. And so it’s easy to understand why some people mistakenly believe that mayflies live for only one day–by the time we see them emerging, they have only one day left to live. It’s almost as if, after a lifetime of staying home, the mayfly suddenly decides it’s time to get out and see the world, find love, and have a family, but they have to do it all that same day. Is there a lesson for us in the life cycle of a mayfly? Something about not waiting too long to do the things you want, or living every day as if it’s your last? 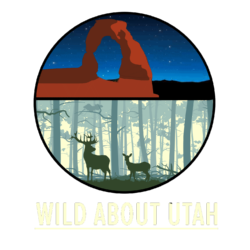 The answer to this question, and possibly others, can be found by visiting cool, clear mountain streams in the springtime or early summer.